It’s not only retail, museums and conferences, that started adapting Estimote Beacons. You’ve probably heard that tulips are one of the symbols of the Netherlands. But did you know that those colorful beauties are so popular there, that they even have a theme park dedicated to them? Tulpenland, as it’s called, is also really big on innovation. Recently, they’ve teamed up with Amsterdam-based agency LabWerk to implement our Beacons and deliver a completely unique experience, suitable for this completely unique place. 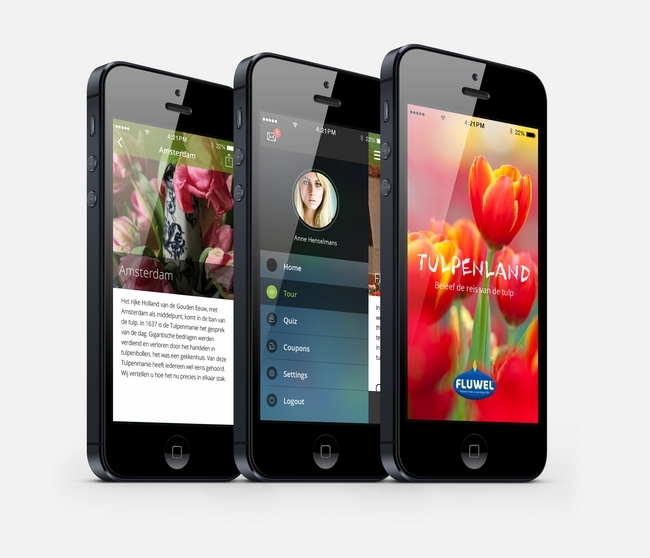 LabWerk customized their own iBeacon content management platform for the purpose of creating Tulpenland’s app. As visitors are making their way through the park, the application provides them with a whole set of new experiences. The story of the tulip, starting in Himalayan mountains millions of years ago, and still continuing today in the Netherlands and around the world, is enriched with images, videos and audio content delivered straight to the user. Fun quizzes add an element of competition and a digital map helps make sure that no one will get lost in the vast gardens of Tulpenland. You can read more on that project on our blog.